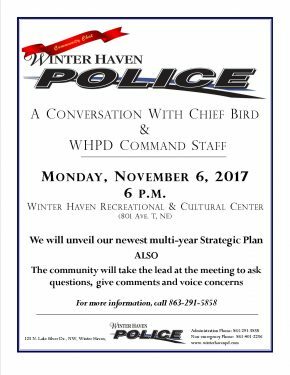 Winter Haven Police Chief Charlie Bird and his Command Staff invite the community to attend the upcoming Police Community Chat on Monday, Nov. 6, 2017 at 6 p.m. The Chat will be held at the Winter Haven Recreational & Cultural Center, located at 801 Ave. T NE in Winter Haven. 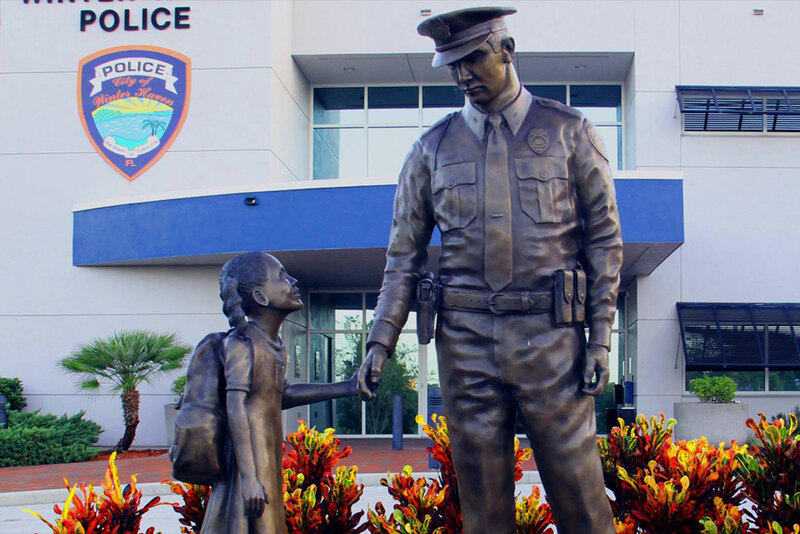 The Chat will have no agenda – instead allowing the community to bring their ideas, questions and concerns to the Command Staff of the Department. Additionally, the Department’s newest multi-year Strategic Plan will be highlighted for community members to see. For more information, call 863-295-5905.